September 12, 2018 -- James "Jim" Hutchison, PhD, the University of Aberdeen academic who invented the world's first full-body MRI system, has died at the age of 77, according to a statement by the university. James Hutchison, PhD. All images courtesy of the University of Aberdeen. Hutchison built the Mark 1 machine that successfully scanned its first patient on 28 August 1980. He patented spin-warp imaging, which was adopted throughout the world and is still used today in MRI machines globally. The technology behind MRI was developed in the 1970s by a small number of teams worldwide, but Hutchison built the first full-body system along with a team that included Dr. William "Bill" Edelstein. David Lurie, PhD, who joined Hutchison's team as a young researcher at Aberdeen after completing his doctorate, said many in the scientific community had dismissed MRI as a nonviable technology prior to the spin-warp breakthrough. "In the late 70s, the Mark 1 machine was built and it was producing images, but they were still very 'blobby' and certainly not of diagnostic quality," he said. "This was the same with other groups around the world in Nottingham and the U.S. But in 1980, Jim co-invented spin-warp technique with Bill Edelstein, and the difference was night and day -- it dramatically improved the images overnight, and they immediately became of diagnostic quality. Spin-warp is still used by every single MRI scanner in the world today and we have Jim and Bill to thank for that." 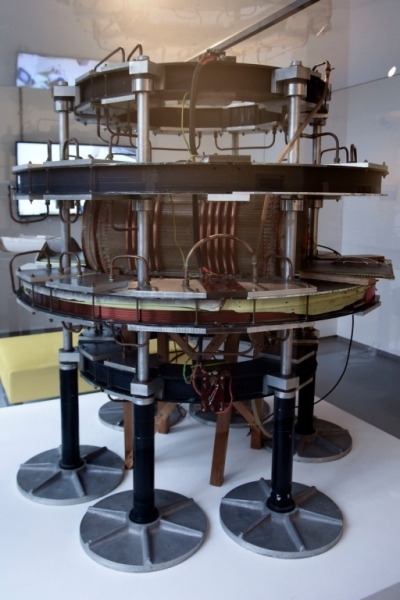 The MRI Mark 1, the world's first full-body MRI system built in 1980. Tom Redpath, a doctoral student under Hutchison at the time of the breakthrough, added: "I think the team were all a bit gobsmacked to be honest. They'd been getting comments from various researchers around the world along the lines of 'I don't know why you're bothering to do this ... it'll never work.' Previously it had been taking other teams hours to get a poor-quality image of a wrist or other small body part, so when we developed spin-warp and we got really good images of any part of the body in around two minutes, the whole thing took off like a rocket. We thought, 'Wow! This actually works!' It was huge fun. It was an energetic and energizing place to be." Hutchison completed his doctorate at the University of St Andrews. 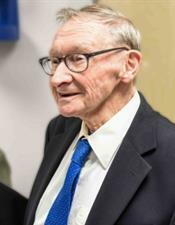 Having developed an expertise in MR, he was appointed to the University of Aberdeen's medical physics team in the 1960s. Hutchison's funeral will be held on 14 September at 11:30 a.m. in Trinity Church in Westhill.